It is time to wipe off the dust from your favorite #travelhacks category and shed some light to the practical side of my last trip. So far I have been purely emotional about Maldives (and I will be for some time to come, bear with me), – let’s translate it to some collective wisdom. What’s important to know about flying to the place where the sea meets the sky, erasing the very idea of the horizon? Plan your route. First things first. 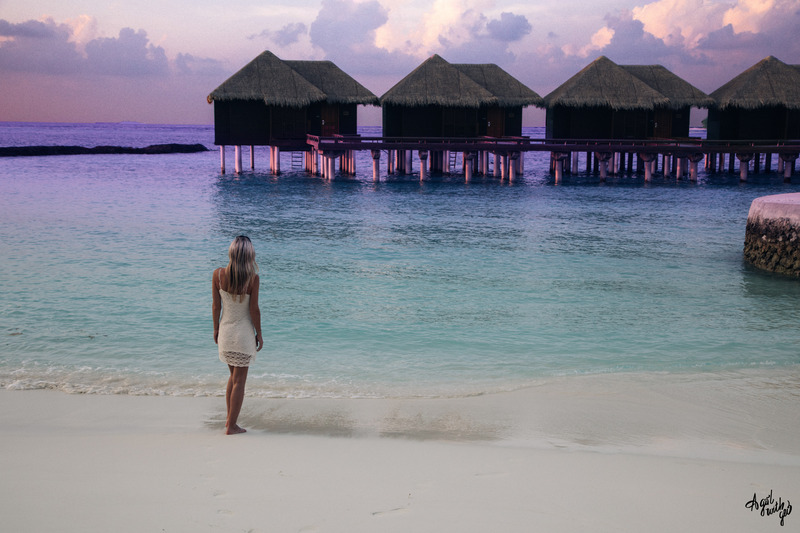 There are absolutely fantastic things about Maldives (the color of the water, the ecosystem, the milky white sand, – I don’t really need to mention them here, do I), less fantastic things (hotel prices, activities for those who doesn’t like the beach but was forced to come by the loved ones), – and there is travel. Getting there is a heck of a travel, with not so many direct flights at reasonable prices (especially now, when Qatar airspace is closed for most international itineraries). A few recos: from Europe, there is a direct flight from Paris with Air France (which was not available at the time we were booking). Then, there is a universally great route quality/ price wise through Abu Dhabi with Etihad. And, finally, Sri Lankan airlines, the cat in the bag we took (clearly, because it’s a cat). For what is costed, Sri Lankan turned out to be a very decent airline, part of the One World. From the luggage perspective, Sri Lankan is the best airline in the world, letting you check in up to 32 kg in the Economy. 2. Plan for the right season. The best time to visit Maldives is December to April, last two months being the hottest (which is not necessarily a great thing). You would think, it is a basic fact to check, but more than three of my friends went there in November or June, just in time for tropical storms and shower rains. Don’t get me wrong, Maldives are gorgeous under the rain (it rained for half a day when we were there the first week of January) but there are more accessible options for listening to the drops dance indoors. 3. P.S. about the right season. Predictably, there is a spike in prices around Christmas/ New Year time, and some hotels accept not less that 5 days reservations. Not predictably, the spikes start from as much as 2 times the price and include a no-escape New Year’s dinner. In our case, the dinner bill was almost 1k USD for two. And it was a fantastic night, with amazing food, champagne, concert and fireworks, – it is just better to be prepared for it. All in all, I would say, if you have an opportunity, go in February: the weather will still be fantastic, and you will have even a better experience at a much lower price. 4. How to pick a perfect island. While the fact that Maldives are a group of islands needs no introduction, not everyone knows that there are a LOT of islands out there. Some are as far away as 240 km from Male airport and getting there requires a separate jet flight. Things to consider when choosing an island: a) distance to the country’s airport is usually correlated with the hotel prices: the further you go, the more you pay (not to mention that jet flight: even a 20 min transportation from Male to a close by island will cost you around 250 USD per person. Ok, it covers a round trip. Now imagine that jet flight). It will also be true for restaurants and other activities because normally everything on the island belongs to the same hotel; b) one of the most important factors to consider is an ecosystem around the island. That means, a sandbank (a sand dune occasionally not covered by water) or coral reefs with rich fish life. Your activities in Maldives will be limited by lying under the sun and all things water, so trust me, you want that ecosystem. Here there is no correlation with the price, and some very humble hotels (assuming there are humble hotels in Maldives) will be a swim away from the places you would need 45′ to reach from the top hotels; c) another thing to consider is the size of the island. Staying in a tiny piece of land sounds desperately romantic, but going to the same restaurant for breakfast and dinner for a week gets old; d) finally, to get the ultimate Maldives experience, set your eyes on the hotels with water bungalows (or water villas), like the ones I am gazing at on the cover photo of this post. You will wake up watching the ocean, get a private stairs to the water, and even a private swimming pool, if you are lucky. It just does not get any better. We split our time between the beach cottage and the water bungalow, and the first one had its appeal, too: I could see the adorable baby bats (they really are adorable) playing outside of our house and start my mornings from swimming with baby sharks. 5. Oh right, sharks. Maldives are full of sharks – black tip white sharks, to be more specific. First that might freak you out, then you get used to the baby sharks and for what should be teenage sharks swimming around the hotel, waiting to be fed as a part of the hotel’s entertainment policy (ours fed them daily at 5 p.m.). And then you just love them, somewhat trusting the locals saying “why would they bite you, they have so much food in the sea”. 6. Maldives are easy to understand in terms of currency: all payments are in USD (and you don’t need a visa). However, there are some rules not to break when there: bringing alcohol is absolutely a no go and can be severely fined, and so is exporting (or even taking as a souvenir, really) corals. The alcohol part might sound extreme, but you find it flowing at the resort (in our case, the lounge even served it for the happy hour, complimentarily). 7. Don’t expect a party every day – even though we had a blast for the New Year’s Eve, Maldives are generally private, quiet place. It does not have Ibiza or Mykonos vibe: in European terms, think more Formentera and Amalfi coast. 8. Finally, I don’t want to be a bore but believe in sun screens. Maldive’s sun leaves your skin tenderly kissed, you almost feel no heat, but the burning done behind the scenes is real. Here are the essentials: SPF 50 for racing on jet ski, SPF 30 for everyday sun bathing (in Europe I use almost nothing, maybe I would take SPF 20 to the sea in August, for benchmark), and I always keep the pocket Bioderma product at hand to protect a scar on my arm from the incident in Moroccan desert, which I can’t get myself to lazer polish – precisely because I travel too often to the sun! What are you sun essentials? Any wonder products I have missed?